We can take any photo, from an old print to a digital photo, add words if requested, and print it on 11" round or heart-shaped balloons. 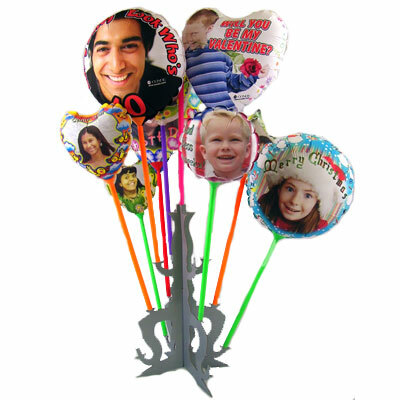 Starting at just $9.95, these custom printed fun balloons are a hit as center pieces on dinner tables from bridal showers to children's parties. Colorful stands are included at no additional charge. Shipping nationwide is available.